Tales of the Legion of Super-Heroes in "Hunters of the Super-Beasts"
The Legion go to the planet Vorm, to help its people against Beast Boy, who has turned his back on humanity. Escaping to Earth, Beast Boy manages to capture the Legion in his zoo. When the Legion escape Beast Boy escapes using the form of a dog. Later Beast Boy is killed saving a girl who is being attacked by a animal. 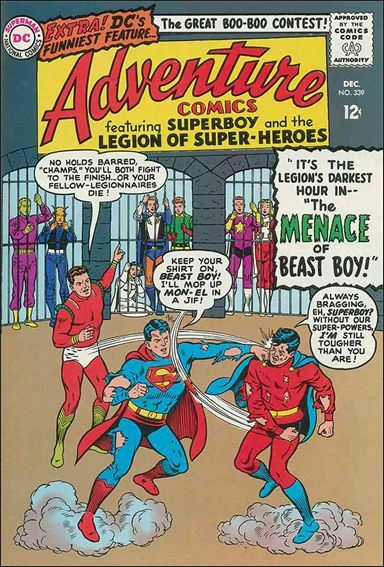 Superboy in "The Night of March 31st"
reprinted from Superman (Vol 1) #145.